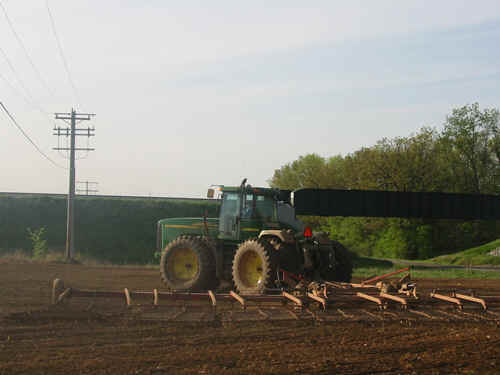 Big Tractor Power readers enjoyed the pictures from Garnett Farm's spring tillage operations. 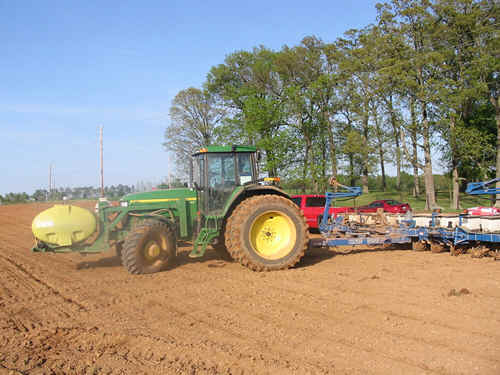 Below are pictures from Garnett Farm's corn planting. 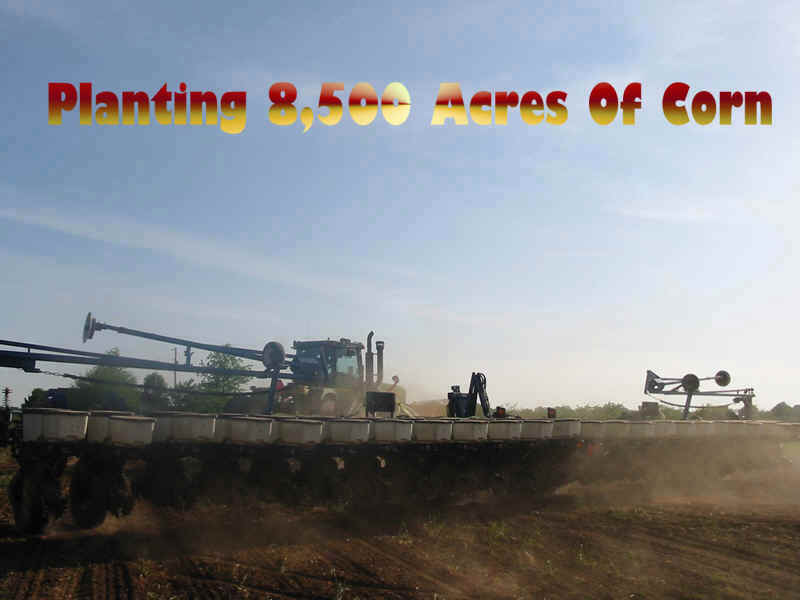 Garnett Farm's planted 8,500 acres of corn for the 2003 crop. 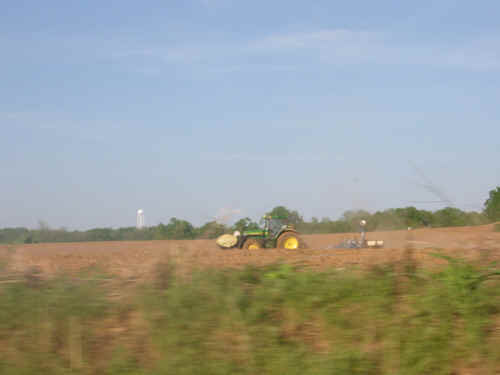 The corn is planted on minimum tillage ground following corn and soybeans. 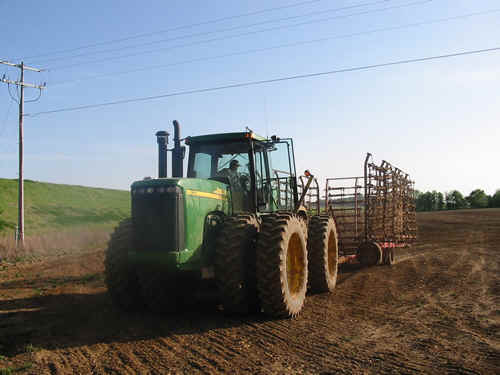 In the fall all of the ground turned over with DMI 730B and John Deere 2700 tillage plows. 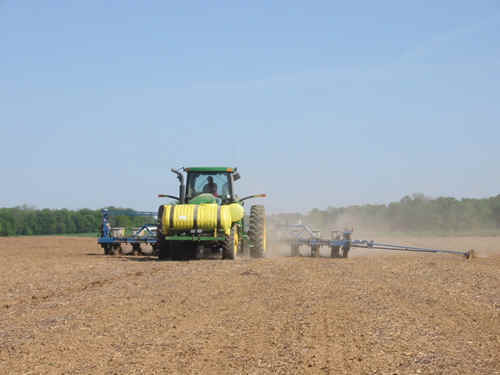 In the spring a first pass is made with Wil-Rich Quad 5 field cultivators applying NH3 featured here on Big Tractor Power.com. 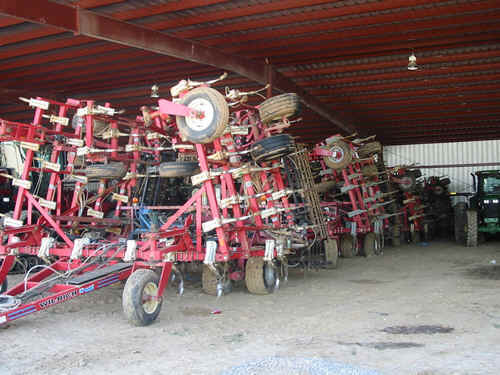 Below you will see the second pass is made a head of the planters with harrow drags. 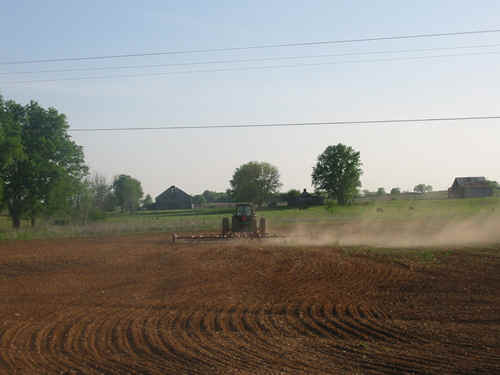 The Garnett's use the harrows to lightly scratch the soil in front of the planters to smooth the residue and top soil on the surface. 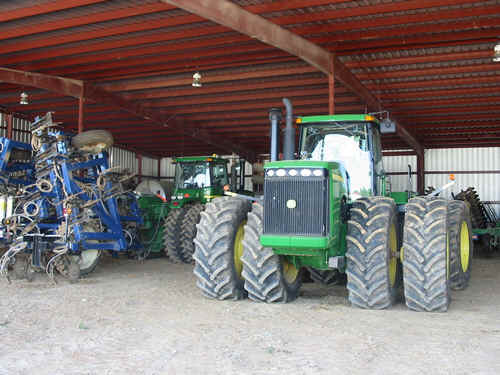 The farm pulls a 30ft harrow with a 1993 John Deere 4960 and a 60ft harrow with a 2002 9120 4wd. 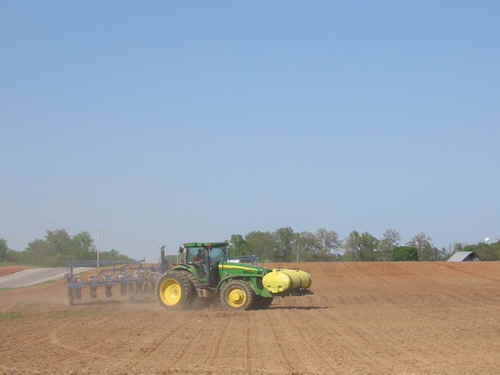 The 8,500 acres of corn is planted from Late March through the end of April. 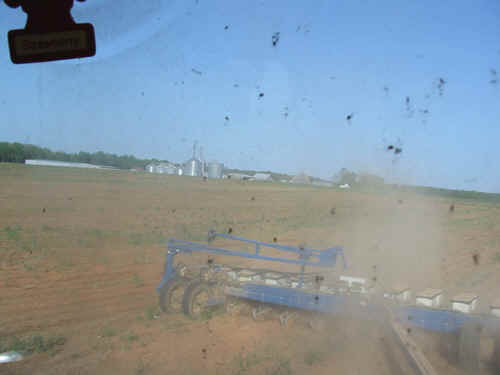 These pictures were taken on April 24, 2003 as the last few hundred acres were planted. 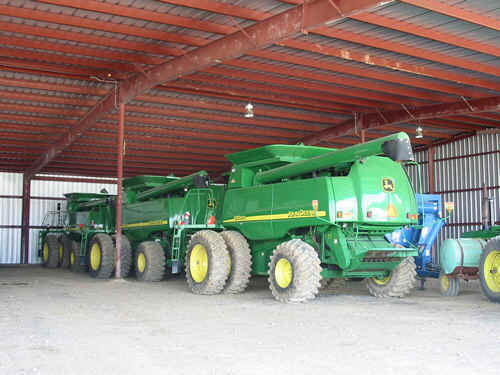 Four Kinze planters are used. 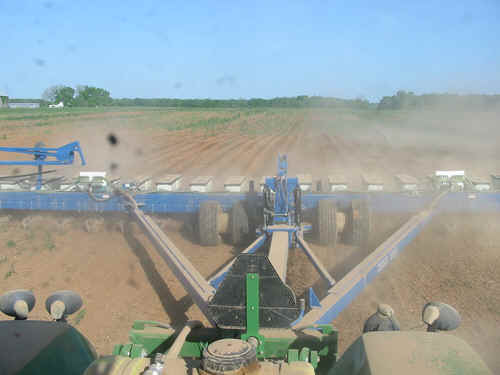 A large 24 row Kinze 3700 planter is pulled with a 2002 John Deere 9120 4wd. 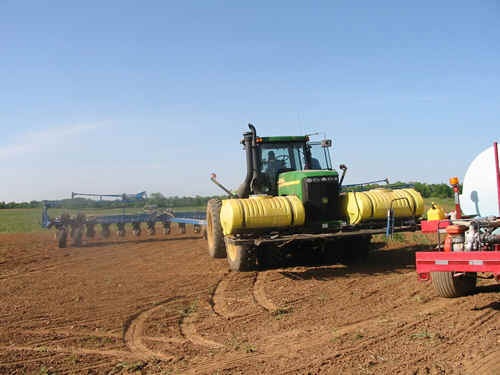 This 4wd powered planting team can cover 75 acres at a time before seed and starter fertilizer refills. 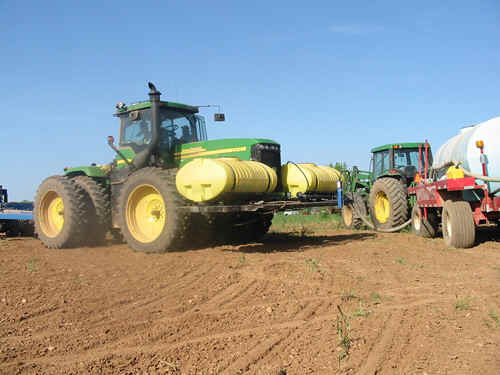 When refilling is needed a John Deere 6410 tows a chemical nurse cart to the field and refills the front mounted tanks in less than 4 minutes. 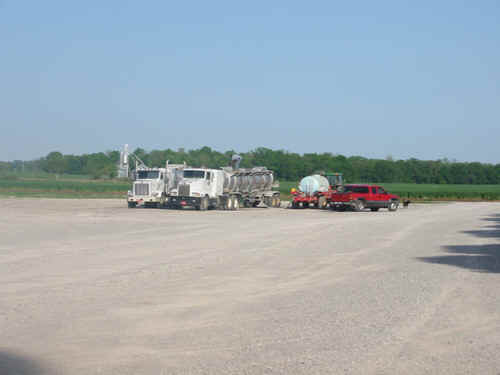 The cart refills from two semi's back on the farm. 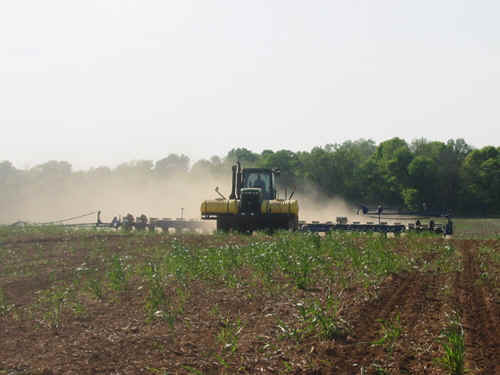 The Garnett's also plant with a Kinze 3600 12 row planter paired with a 2002 8120 and two Kinze 3400 12 row planters pulled by 2002 John Deere 7810 tractors. 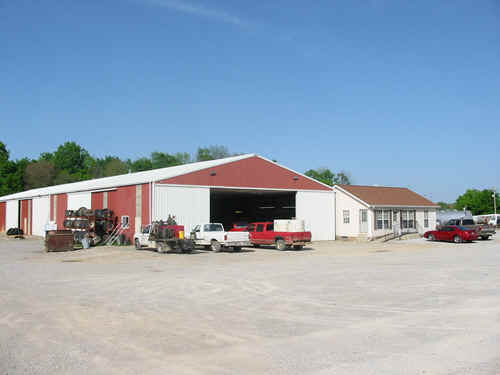 What does a farm that raises 8,500 acres of corn along with 7,500 acres of soy beans and 5,500 acres of winter wheat look like? 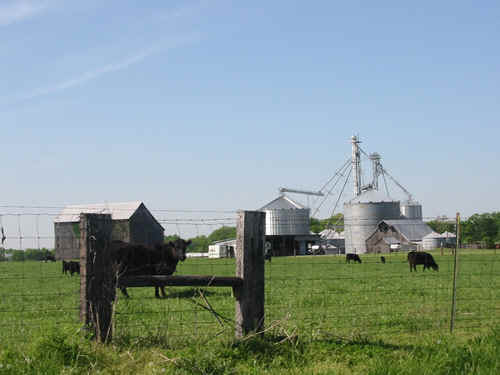 Because the Garnett's were planting by the home farm you will find some pictures included of their main farm. 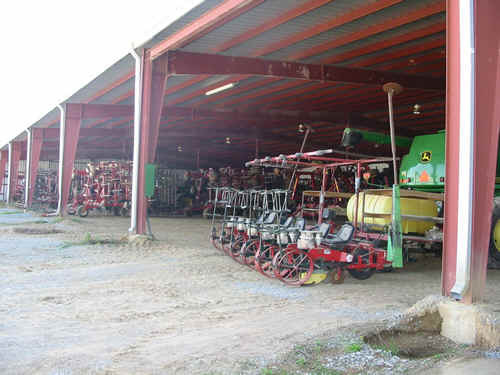 Inside the machine shed were two sprayers a 2001 Miller-Pro Nitro with a 90ft boom and 2002 John Deere 4710 sprayer with a 90ft boom. 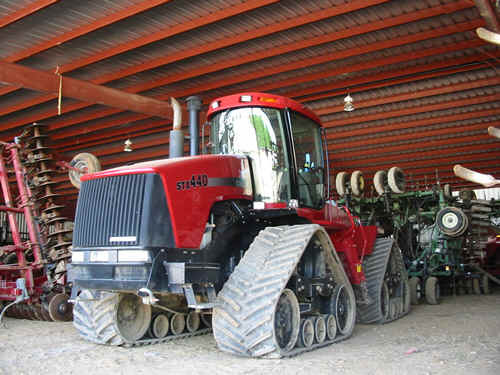 Several tillage 4wds were parked including a 2003 John Deere 9520 hooked to 17 shank DMI NH3 applicator, 2003 John Deere 9520, 2001 CaseIH STX 440 Quad-Trac Steiger and a 2001 John Deere 9400 on a CaseIH 4200 Combo-Mulcher. 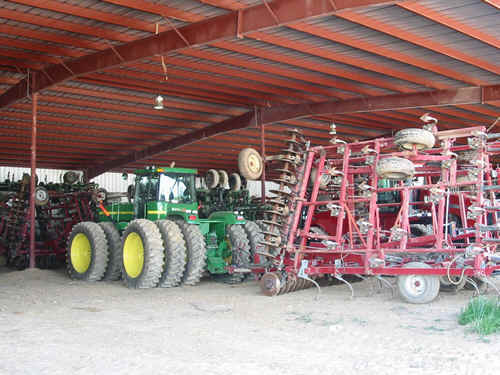 Five Wil-Rich Quad 5 Field Cultivators are tucked away in a row waiting for wheat drilling, three Concord Air-Drills are are parked and 3 2003 9750 STS John Combines are primed to begin harvesting the wheat crop at the end of May. 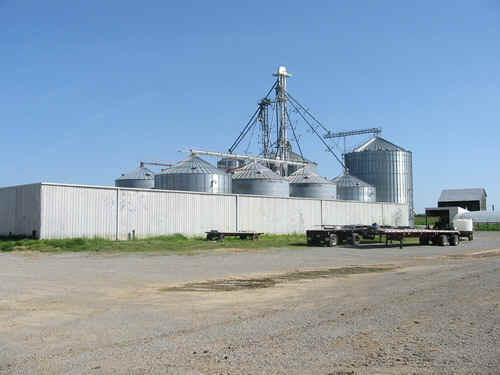 You can also view pictures of the farm shop, 900,000 bu grain leg, semi-truck and grain trailer shed. 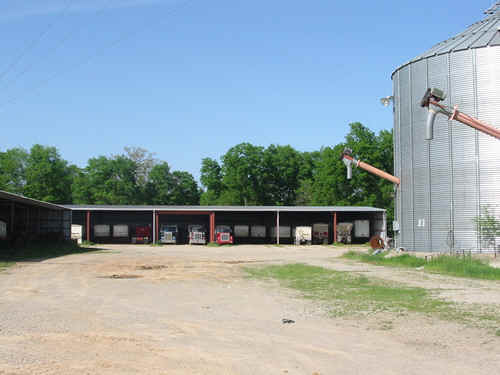 Published 01/01/2001 � All Rights Reserved 2001, 2002, 2003, 2004.